You nearly made me spit my soda out my nose, which would have been both fizzy and extremely painful. Thank you. That’ll clean out your wretched hive of scum and villainy! 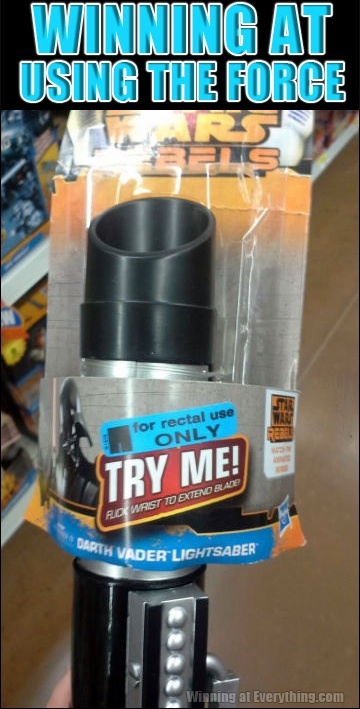 Either way, I had to look closely to realize it ISN’T a vacuum attachment. Jab THAT in yer Sarlaac pit.